Is this kids or teens appropriate? We perform readings at parties for kids, teens, and young adults; for example, birthdays, bat and bar mitzvahs, Sweet 16's, graduation parties, proms, etc. Since making predictions is rarely appropriate for these age groups, we have developed a very special approach which mainly focuses on each one’s character, talents and skills, and future possibilities. As party psychics, our field of expertise is “hope and the future”, and our children definitely are the very best part of it! 2- Readings which are about "Know Thyself". Mature adults do not need a psychic to tell them who they are; they know. Therefore, fortune tellers who can answer “any specific question about the future” are always most popular at parties with this age group. And the more precise and somewhat definite the answer is, the better it is for the guests. But with kids, teens and young adults, the psychic is reading for people who do not know themselves well, and are unsure about their future. With these age groups, the psychic will be most helpful by drawing a quick but in-depth picture of “who the kid is”, and “what this kid can achieve”. As the great Lincoln said: "Character is destiny". When kids are presented with “some of their best character traits, talents and skills” and “some of the best possibilities that the future holds for them”, they come out of the reading feeling validated and confident about themselves and their future. And when one or more close friends do happen to listen “in complete awe” about the accuracy of the description, it does reinforce their sense of acknowledgement, recognition, encouragement and support. This is the kind of approach that we favor, for our young ones. Of course, some types of readings will achieve better results in the “predicting the future” category, while other types of readings will work better with a “know thyself” approach. Tarot is, for example, the ideal type of reading to perform for the adult guests, as it allows the tarot card reader to answer each guest main question about the future, be it relationships, money, career. etc: but it is definitely not a good choice for kids. Numerology or non-predictive Astrology, (both are readings based on birth dates), and Palm reading as well, do offer a “reading of the individual” and a “projection of this individual's potential and destiny”. These readings are ideal for kids as they stimulate their imagination (and make them feel very important). These readings are also extremely helpful, enlightening and inspiring for teens and young adults, who are still wondering where they will best "fit-in". So if you are having an "only adults party" your best choice is Tarot card reading or predictive Astrology. But if you are having a kid's party, you absolutely want to avoid Tarot card reading, and will instead choose Numerology, or non-predictive Astrology, or "real" Palm reading. 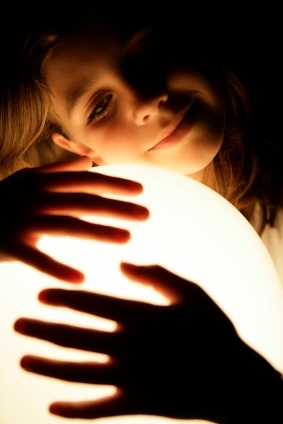 Since palm reading is not being taught on our side of the hemisphere, most so-called palm readers are indeed intuitive readers, not real palm readers. But when a reader has to offer short readings to a humongous amount of people during the course of a party, it is more difficult for the readings to be accurate, if solely based on intuition. While all the readers in our team are naturally intuitive, each one of our readers is able to "ground" her reading on "solid and hard earned acquired knowledge through long studies over the years". This is the only way that we can guarantee accurate readings at a party. So if you are having a mix of younger and older guests at your party, you will need a psychic who is an expert at reading for both age groups. Since there are very readers who are true specialists at serving all age groups, you want to make sure that you work with us, so that none of your guests, younger or older, are left behind!